This post is in partnership with PURENEW. All thoughts and opinions are mine. Thank you for supporting the brands that help make Bubby and Bean possible. Last month, I shared a challenge I’ve committed to called 100 Days For Positive Change, that focuses on being physically active for at least 30 minutes a day, everyday. The challenge is currently half way done, and I’m happy to report that it’s still going strong! Aside from the fact that making daily physical activity a priority (something I’ve never done for longer than a week or two at a time) has had numerous benefits for my physical and mental health, it has also inspired me to focus on taking care of myself from the inside out in other ways. This includes focusing on an area where I’ve needed some help recently: my skin. I’ve always been good about caring for my skin externally. I never, ever go to bed wearing makeup, I wash twice a day with a gentle cleanser recommended by my dermatologist, I moisturize religiously, I use a great eye cream, and I exfoliate as needed. 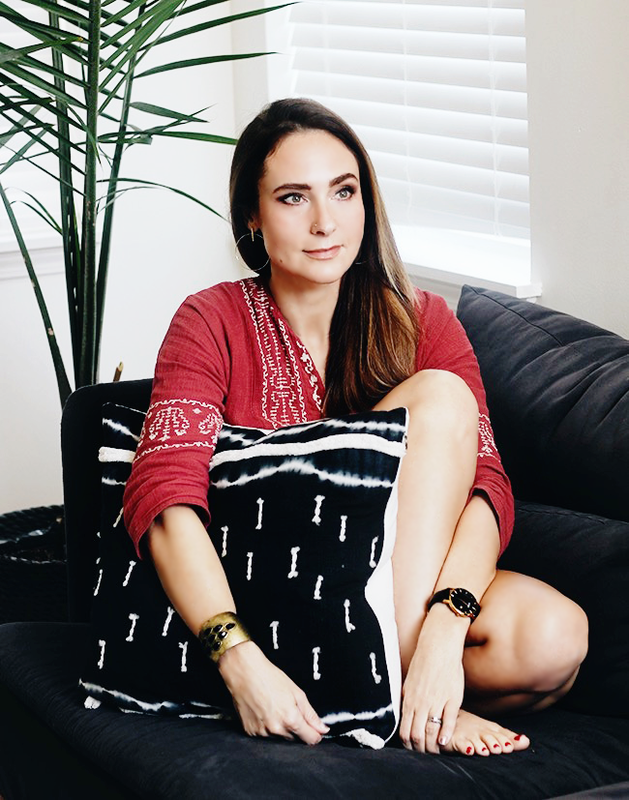 I always read the ingredients on skincare products and pay close attention to how they affect my skin, and I change and update them as needed. But doing this challenge has motivated me to pay even closer attention to my body as a whole, and I’ve noticed my skin has looked (and even felt) a little lifeless. I needed to take my skincare routine up a notch. A few weeks ago, a friend who is doing the challenge with me suggested taking certain supplements to help boost different aspects of my health. 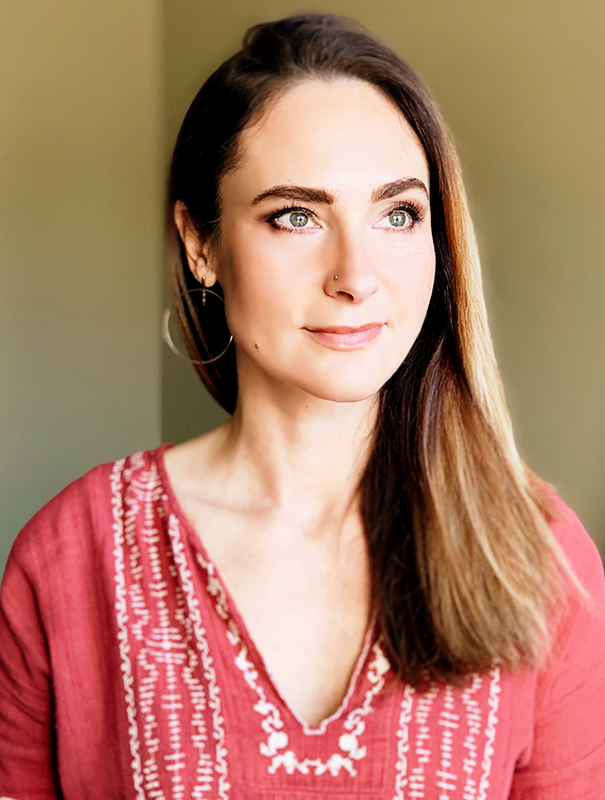 While doing research into which ones to get, I started reading more on how superficial skincare products often can’t target the causes of skincare issues and help longterm the way taking health supplements can. I read about a beauty supplement line called PURENEW (the name itself is the fusion of “pure” and “renew”; love that!) that is designed specifically for different life stages. I really liked the fact that their supplements are all made in a cGMP (Current Good Manufacturing Practice) certified facility in California using standards enforced by the FDA, and that they contain only the highest quality ingredients sourced from nature and backed by clinical studies. 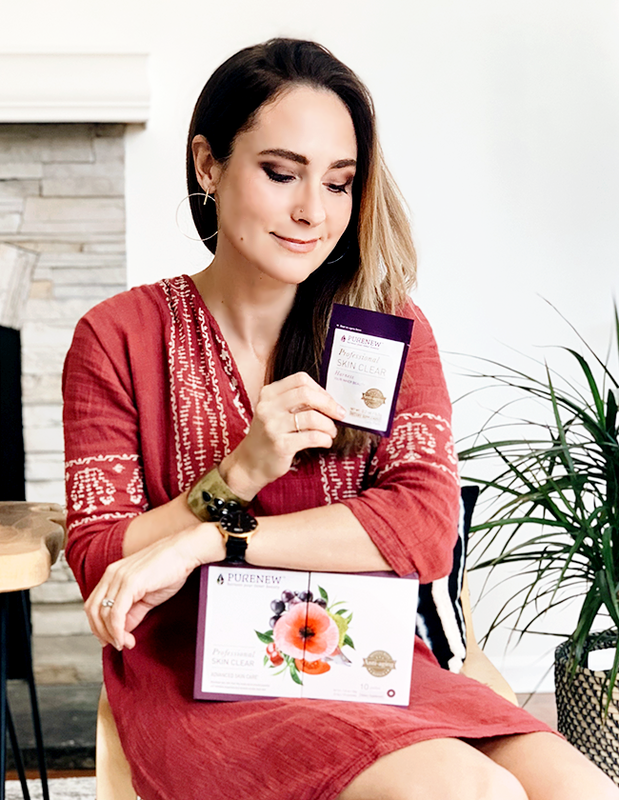 I’ve taken other beauty supplements to help my hair and nails, but this line really focuses on targeting overall beauty-from-within and bringing visible change to skin, with packets containing several types of supplements specially for my age group. I knew I had to give it a try. 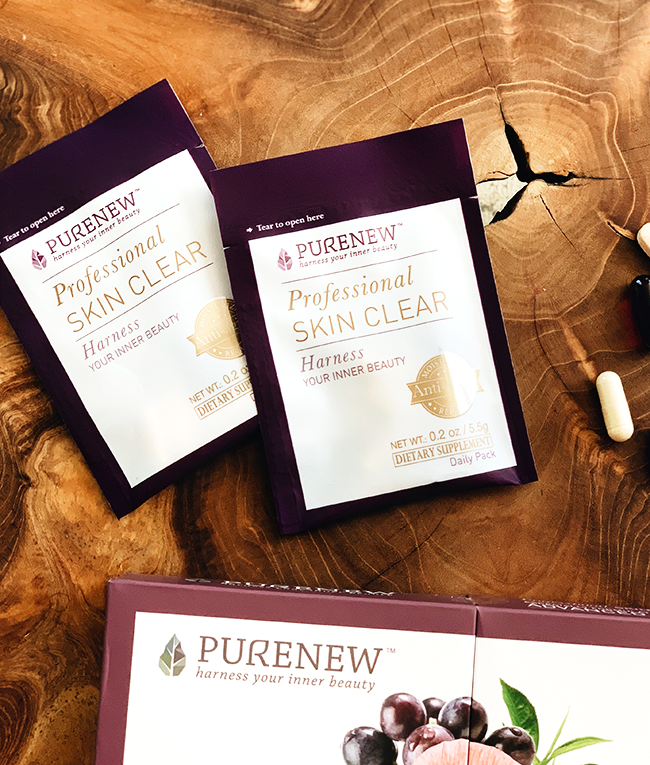 I immediately started taking the Professional Skin Clear Advanced Skin Care, which is designed to help reduce wrinkles and clear skin over the age of 35. Since turning 40, I’ve noticed some major free radical and sun damage on my face, mainly in the form of dark spots, wrinkles, and dullness. 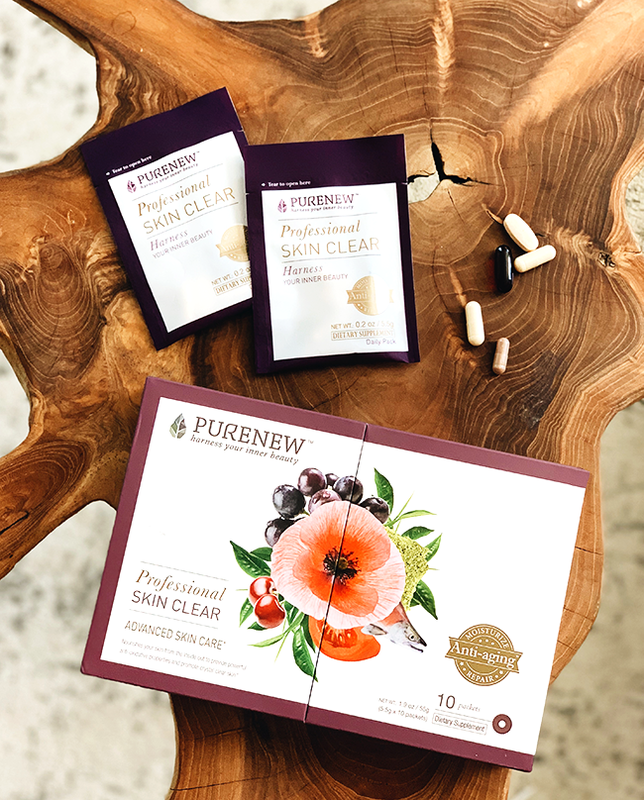 PURENEW helps to promote healthy skin cells by increasing collagen, boosting moisture and elasticity, reducing formation of age spots, and brightening skin tone – all things I wanted to improve in my skin. Everyday, I take one packet of supplements after a meal. And I have to say you guys, even after one week I noticed that my skin seemed clearer and healthier looking. The longer I take it, the more of difference I see. And that’s pretty great. 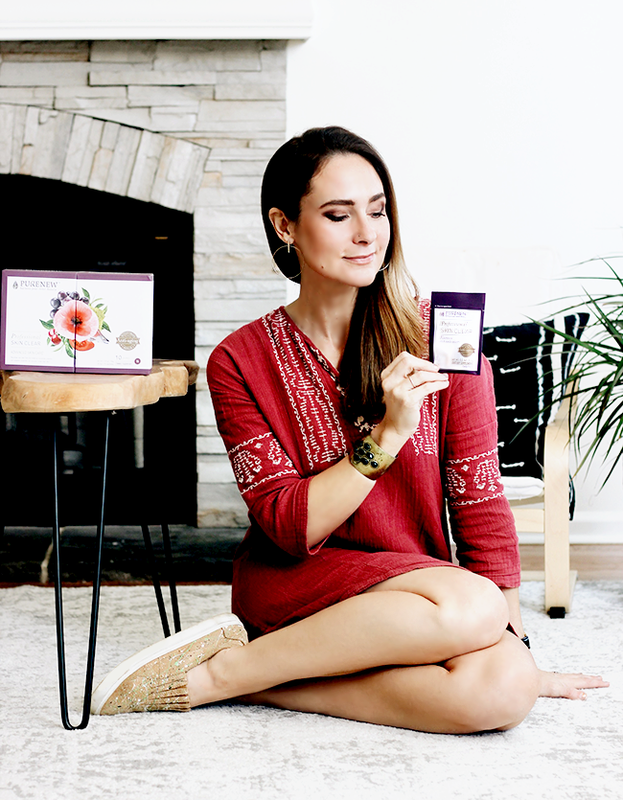 In addition to taking PURENEW, I’ve continued to take care of my skin from the inside out by drinking lots of water throughout the day, eating healthy foods, and being physically active for at least 30 minutes a day (usually through running or yoga). I’m so grateful that I started this challenge, not just because it’s good for me physically (although that was the initial goal and remains crucial! ), but because it’s inspired me to pay attention to all aspects of body – inside and out – including how I’d been taking care of my skin. I plan to continue to nourish it both externally and internally, and am excited to see how much it’s improved when the challenge is complete. What is your skincare routine? Do you mainly focus on superficial skincare, or do you take beauty supplements as well? What do you do when a giant pig invades the neighborhood? Have a great weekend! Until next time, Good day, and good dog! He is gonna be a stallion of a dog. Good stuff! Until next time, Good day, and good dog!